Kendall Wheeler is our paralegal who comes to Welch, Donlon & Czarples after having worked at an Ithaca firm for several years. 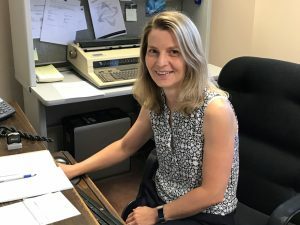 She obtained her paralegal degree from Meredith College after having completed her Bachelor's degree from Mansfield University. Outside of work, Kendall enjoys spending time with her family, especially her young son Jonathan (who keeps her very busy!). Kendall looks forward to getting to work on your case and can be emailed at kendall@wdcinjurylaw.com. 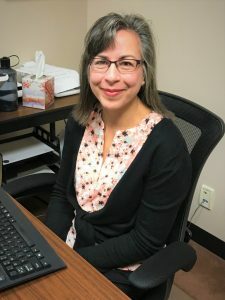 Brenda Brewster is an experienced paralegal who worked in PA for a number of years prior to coming to Welch, Donlon & Czarples. 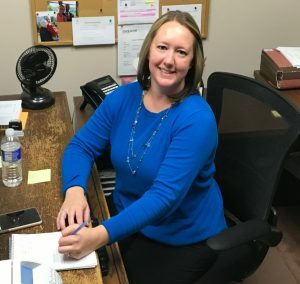 She has a Bachelor’s Degree from Mansfield University and an Associate’s Degree in Paralegal Studies from Corning Community College. Brenda has a great sense of humor and is a very important part of our team. She is devoted to her family and is excited to learn new technology. Brenda is available by email via brenda@wdcinjurylaw.com. Kathleen Schwesinger is our receptionist and bookkeeper. She is usually the first friendly face to greet you upon arrival to our office. Kathleen is originally from Germany where she obtained a German Certified Accounting Degree. She is instrumental in helping our attorneys assess the economic loss resulting from a personal injury or property damage claim. She can be emailed at kathleen@wdcinjurylaw.com. Our attorneys have worked with various experts in all different fields including medical doctors, engineers, economists, and accident reconstruction specialists. Our office will be able to find the right professionals to assist you in your individual injury case. These experts can be consulted locally in the Elmira/Corning area, or be found around the nation or world depending on your individual injury and needs.